Interactive installation at Cadence 23, a warehouse space in Queens. 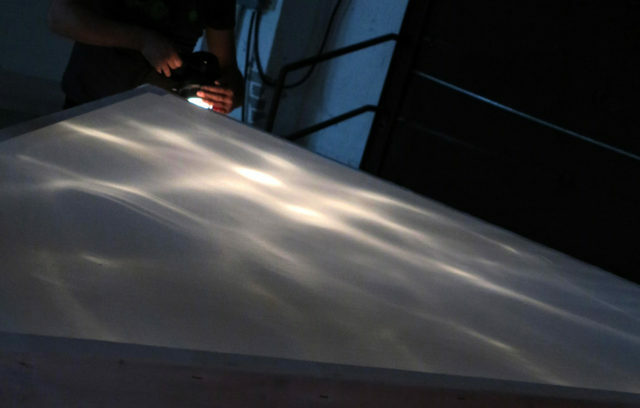 This is a reflecting pool of waves across a triangle screen, where visitors are welcome to interact with the water, creating patterns of light and movement. The installation is part of the group art/performance month titled “Cadence 23”. 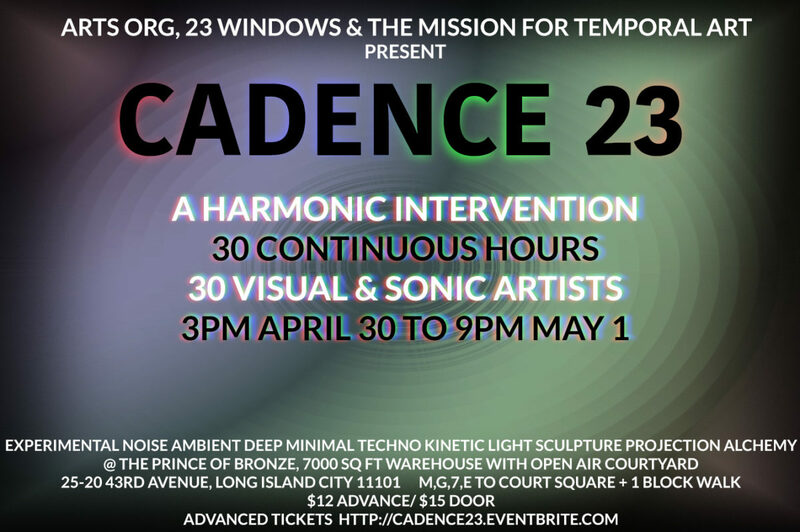 Cadence 23 is a convergence of NYC experimental performances and installations in a 7000 sq. ft. warehouse in Long Island City. Starting 3PM Saturday with music, poetics, butoh & visceral performances begin. @ 9 PM Saturday, PLAN 23, ZEMI17, Socks & Sandals, Bubblyfish, LEISURE MUFFIN with BORNE, and more. 5AM to 9PM Sunday Sunrise: sonic church, experiments resume. Picnics and pitanque in the open air courtyard. Live video projections and installations throughout the 30 hours. Many of these installations will be up for the 30 days of weekend events at this space.